Bailey Richert: My name is Bailey Richert. I’m a business coach for beginning and budding infopreneurs, and I am unemployable. Brian Clark: Virtual conferences have been around for years. They provide the education of a live event without the expense of travel, hotel, any other real-world costs that come with attending a live event. That’s the benefit to the attendees. Entrepreneurs can use virtual conferences as a way to build or expand an audience, develop your authority, while also developing a membership product. 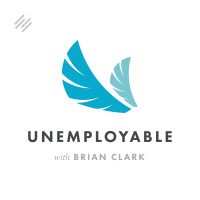 I’m Brian Clark, and this is Unemployable, smart strategies for independent business people. Thanks for tuning in, and if you’re an iTunes user, I’d love to get your feedback in the form of a rating and review of the show. It helps a lot, and I appreciate you taking a moment. If you need to hop over there, you can use this link, Unemployable.com/iTunes. Now, let’s talk more about virtual conferences. They can be an amazing springboard. Mike Stelzner’s Social Media Marketing World started as a virtual conference and now attracts thousands of live attendees every spring in San Diego, but the heyday of the virtual format may be just beginning. As we move to more sophisticated forms of virtual and augmented reality, the virtual conference will likely become the norm, and those who establish viable brands now may be perfectly positioned for the future. Let’s not get ahead of ourselves, though. Right now, virtual conferences are an exercise in organization, logistics, and good old-fashioned smart marketing choices. Bailey Richert joins us today. She’s done the work that makes for a successful virtual conference, and she’s going to share those tips with you. Bailey, thank you so much for joining us today. Bailey Richert: Thanks for having me on. Brian Clark: Absolutely. We’re going to talk about virtual summits today, which is an interesting topic. They’re not new, but I think they go through different phases of popularity. Maybe you’re seeing even more increase in popularity, and I want to dive into some of that with you because it’s quite a production. It’s almost as bad, not quite, as putting on a live event, but there is a lot of coordination. I want to dive into that. Before we do, why don’t you bring us up to speed a little bit on your background. How did you get to this point of being on your own and coaching other people who want to get into the information product world? Bailey Richert: Absolutely. I think, like a lot of people, I was taught that there’s a particular path to success that you are supposed to follow — do really well in school, go to college with a scholarship, eventually grab a 9-to-5 job, work, and retire. I was following that path for a very long time. I went to college for engineering, and whenever I graduated, I eventually landed a 9-to-5 consulting job and living out in California doing that. It was about in 2013 that I started undergoing my quarter-life crisis, if you will. I was 25 at the time, and I just started to ask some of those big questions that I think a lot of us have asked. Like, “Is this all there is? Am I going to do this job for the rest of my life? What’s next?” I started to realize that the things that I really wanted in my life that I didn’t have was going to require me to take a pretty big change. I decided in that moment that I was going to become an entrepreneur, but I really didn’t have a background in it. I decided to take a more formal route that I know a lot of people don’t necessarily do, but I went back to school. I got a master’s degree at MIT. I studied entrepreneurship while I was there, and I made a personal goal that I was going to launch my business and be self-employed by the time I graduated. I originally started in infopreneurship not actually coaching it. That wouldn’t have made a whole lot of sense. I was just getting into it myself. Rather, I started a business all about travel. I had done multiple study-abroad semesters when I was in college and was pretty locked into that community in several universities in the US, so I decided to go ahead and write ebooks about travel, do online courses about it, how to travel internationally, do speaking about it. Then, eventually, things in my life just started shifting. People started to notice that I was making income on my own. I had so much joy in my work. They wanted to know how to turn their blogs profitable like I had. I started teaching it, and that actually started off as more of a side thing. I had one online course about self-publishing. I was mostly teaching my friends and family. The demand just grew over time, and I really, really enjoyed doing it. So I decided, ultimately, to pivot full time to teaching people my methods for online business and entrepreneurship, which is what I do now. Bailey Richert: Sure. I’m actually giving a TED Talk this Sunday about how my entrepreneurial journey has been a personal journey of self-discovery, and it’s helped me to overcome my life crisis. In preparing for that talk, I had to do a lot of research and trying to find statistics. One of the things that I learned is that, 30 years ago, a person’s first experience with depression would normally happen in the late 40s, early 50s, which is the mid-life crisis. But today, that average age is lowering. It’s decreasing, and now it’s about mid-20s. So the quarter-life crisis, from that standpoint, is actually becoming way more common. Brian Clark: Yeah. It’s been interesting doing this podcast, just interviewing and speaking with other entrepreneurs, and I realize that my own journey is very common. A lot of the things I felt as far as, “Okay, why don’t I fit in anywhere? Why can’t I make this job thing work?” All of that are recurring themes. You hear it over and over again, and I think, I hope, that people out there listening are getting rid of whatever stigma is even left. Entrepreneurship is basically the new ‘it’ thing, like what people aspire to. I don’t think it was quite so much 20 years ago. I don’t know, maybe. I never thought of myself as an entrepreneur. I just could not deal. I thought it was just the practice of law, but I really figured out that I really just couldn’t deal with answering to anyone other than customers and clients, right? Bailey Richert: Mm-hmm (affirmative). I think it also has to do with the fact that we live in a completely different world than our parents did 30 or 50 years ago, and there are so many new possibilities and opportunities that are open to us now that weren’t open to them. And we have the ability to see the potential in those opportunities. 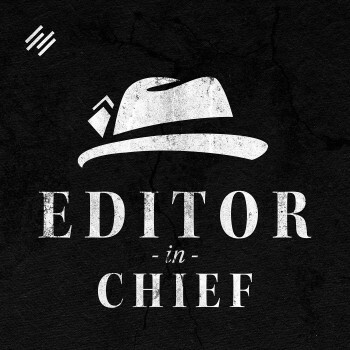 Brian Clark: Yep, absolutely. Okay, I want to talk a little bit about this virtual summit that you yourself put on recently. What led you in that direction, as opposed to, say, starting with a membership site or an ebook? You did do some online courses, so you had that background. Why was this the next step for you? Bailey Richert: Sure. I didn’t actually get into virtual summits because I was looking for another revenue stream, but rather, I was just looking for a way to level up my business. I already had several revenue streams — ebooks, online courses, coaching, that sort of thing. What I was really looking for was an effective marketing strategy. I had been doing, and I still do, lots of the things people say — “Get on Pinterest. Get on podcasts. Get on all that stuff.” They are effective. I’m not going to say that they’re not, but some of them are definitely more slow plays than other. Or sometimes it can be really difficult to measure what the outcomes of those things are. You wonder, “How is this really helping my business?” You have to do it for a few years before you can figure that out. I had been to a couple of virtual summits myself that I had seen people hosting online, and I thought, “You know what? I’m going to go ahead and give this a try.” I really went into my first summit, called The Infopreneur Summit, that I hosted this past summer with pretty low expectations, to be honest. I kind of just flew into it and said, “You know what? If this works, that’s awesome, and if it doesn’t, oh, well. It’s just one of those things that you have to try to figure out if it’s good for you.” I was so incredibly surprised and just delighted by the results that I got and how it really grew my business in both measurable and immeasurable ways. Brian Clark: Yeah. It’s interesting because we’ve talked in the past before about how you could jumpstart a membership site, if you will, with a virtual summit concept. Maybe you’re establishing your authority in your field — and sometimes that can be difficult — but there’s nothing better than, really, hosting the varied expertise in the industry, the niche, whatever, and taking off from there. Another thing that you can jumpstart with a virtual conference, of course, is a live conference. I don’t know if people remember that Mike Stelzner, who does Social Media Marketing World, that was started as a virtual conference, and all of us, his friends, basically promoted it. I forget what year it was, but it was a success as a virtual concept, and then the next year, he went live with it. It’s almost like a minimum viable conference, if you will. Bailey Richert: Yeah, it definitely could be if you have plans to do that in the future. I didn’t go into my virtual summit with the potential that it could be a live summit. Maybe it will be some day, but yeah, it’s definitely a really great way to, like you said, jumpstart your business. There’s so many ways in which it can benefit you. The number of email subscribers that you get, if you offer an all-access pass or a membership site of some sort, then you have the revenue. Also, building the relationships with those influencers that you have on your summit is incredible, and it’s already benefited me as I’m moving forward. I brought them on as affiliates for some other programs. There’s just so many different ways that a virtual summit can benefit you as a host. Brian Clark: Yeah. Take us behind the scenes a little bit here. You went the free route with the paid videos after the fact because, let’s face it, it’s a great strategy. You get people to register for a free event, and there’s tons of content. Then life intervenes, and you can’t make most of it, right? Brian Clark: The offer later to get all the videos, and I’m sure there were other incentives involved. Take us a little bit behind the scenes on how you structured yours. Bailey Richert: Sure. I decided that I was going to offer my virtual summit. I had ultimately 27 guest speakers in the end, and I was going to record an interview with every single one of those speakers, about a half an hour long. And I was going to put all of that content live according to a specific agenda, just as if you were going to attend a live event or a live conference. I was going to make that content free for a limited amount of time. You can kind of think of that like a gigantic lead magnet. If you’ve ever created a free ebook, free download, or something for your business to get people to give you their email address in exchange for that content, you know that’s a really great way to grow your list — but everyone’s doing it. It’s actually really hard these days because people are getting more judicious about what they decide to sign up for. But people are definitely going to sign up for 27, 28 guest speakers that they can listen to for free. But here’s the thing. Because I was only putting all of that content out for a limited amount of time, like you said, life tends to get in the way. Unless those people put every single interview on their calendar and made sure that they were going to be able to watch every single one, it was possible and likely that they were going to miss some of the content. I wanted to provide a way that they would be able to watch it at their leisure, and that was the paid all-access pass, which means that if somebody had purchased the pass, they would get a lifetime access to a membership site where all of the interviews would be stored. That was given to them the day after the summit, so I had all the way up through the summit to make sure that the content was clean and good and put it in the membership site. That’s how I was able to earn revenue, and that’s also how I was able to incentivize my guest speakers to promote the event. I made them affiliates for that all-access pass, and I gave them affiliate links to share the summit registration so that when people from their community registered for the summit and purchased the pass, they were given 50 percent of those revenues. Brian Clark: Yep, that’s very smart. Let’s go back to the content. You said you did interviews with these 27 guests. Were these video interviews? Did you pair it with visuals at all? Audio only? What was the format? Bailey Richert: They were video interviews. I conducted them over Google Hangouts on air. I just made them private, so no one could see them while they were being interviewed. Then I would download them from YouTube, put maybe a little bit of editing in them, but mostly, it was just the faces of the guest speaker and myself having a conversation. My recommendation for people doing these interviews is to make sure whatever system you choose to record them is to have incredible audio. The truth is, since the videos themselves are just pictures of our faces, you don’t necessarily, as an attendee, need to see those faces to be able to absorb the content, but you have to be able to hear clearly — so make sure you have good audio. Then also, make sure that the interview is short enough so that the attendees actually want to stay for the whole thing. It is at the end of the interview that I allowed each one of my guest speakers to pitch a lead magnet, something free to the audience, which is the way that they were able to grow their email list from the summit. We wanted to make sure that people who were watching these interviews would stay till the end and then be encouraged to download this free thing being given by the guest speaker. Brian Clark: You’re operating, as we are, in the online marketing space, basically trying to teach people how to do these things, and it’s very competitive. The whole content marketing space is so competitive, online marketing, all of that. You even mentioned people are less likely to go for your standard lead magnet, if you will. I’ve even heard some rumblings among people I know that they were getting a little burnt out by people saying, “Please come speak at my virtual summit,” because they know you’re building your list, your audience, your authority, and all that. Did you find any resistance there? And what are your thoughts about other industries and niches out there? It’s a lot less saturated than the place we operate in? Bailey Richert: Well, I think that you can do a virtual summit in any niche, which is actually why I love it so much, is that there is absolutely nothing that says that a virtual summit can only be hosted in the online marketing industry. I’ve seen several people do virtual summits when it comes to health and fitness or whatever, so that’s one of the things that I definitely think. As far as asking guest speakers to be on your summit, this is something that I’m very specific about whenever I teach virtual summits to other people now and also in my upcoming course. You definitely have to be very strategic about who you are asking. And of course that host wants to be perceived as being on the same level as that high-level influencer, but here’s the thing. It is not going to benefit you as a host or your summit whatsoever if that high-level influencer doesn’t promote your summit, doesn’t share it with their audience, and really doesn’t give it their all as much as you are and as much as the rest of the guest speakers are. I am a huge advocate of what I call ‘mid-level influencers’ doing a summit with people that are around the same level as you are. Ultimately, they’re going to be more grateful that you are giving them this opportunity to get the word out there about their business. They are going to be more like your partners in the promotion of the summit rather than just seeing it as an opportunity for them to spread the word about their own business. They’re going to definitely share it with their lists. They’re going to be working with you every step of the way to make sure that it’s successful. I think that’s actually a much better strategy. Don’t go for the Amy Porterfield, Seth Godin-type people. Those are amazing people, but if you don’t know them and you’re just reaching out to them out of the blue, even if they did agree to be on your summit, it’s not really going to help your email list grow through your revenues or anything like that. Do a summit with people that you know, that you want to form relationships with, that you want to work with in the future. Most of the people that were on my summit only had email lists or Facebook group members around a few thousand people. I would consider that mid-level, but that was huge. Those people, those mid-level influencers, their communities, they’re so devoted to them, and that’s really what you want. Brian Clark: Yeah, that’s great advice. People forget that we all come up together with our own peer group. People will look at me, Chris Brogan, Darren Rowse, Amy Porterfield, Mike Stelzner — we all came up together. We were all nobodies together, and we helped each other. Then people don’t realize that. They look at us now, and they’re like, “Well, I got to get those people.” No, you need to get your own peer group, and that sounds exactly like what you did. Bailey Richert: Absolutely. I love the way that you say that — your peer group comes up together, precisely. Find people that are within your own peer group — they’re at the same level as you — and then agree to help each other out. It’s those relationships that are ultimately going to be most beneficial to each other. Brian Clark: Yep. How far in advance did you start laying the groundwork for this? You can’t just decide one week to do a virtual conference and then pull it off a couple of weeks later. It really does take some planning. Bailey Richert: Yes. From start to finish, it actually took me 90 days. I have a three-month process that I teach, and there’s a free ebook on my website people can download for this. Basically, in the first month, it’s all about planning. It’s about deciding what you’re going to call your summit, what content you want to have, thinking about what guest speakers you’d like to have on, starting to contact them. The second month is all about creating. You’re setting up your sales funnel, your sales page. You’re recording those interviews. You’re getting your affiliate systems all set up. Then the third month is completely dedicated to promotion. You’re going to be promoting that summit for a good three to four weeks, and at the very end of this entire process, at the end of that third month, is when your summit is actually going to go live. Brian Clark: Yeah, I want to talk about marketing in just a bit. Just a quick question. Did you use a VA or a team to help you coordinate everything, or were you really kind of driving it yourself? Bailey Richert: I did it completely myself. I do have some contractors and assistants to help me every once in a while when I need to, but this is an event that I completely did myself. Brian Clark: Oh, interesting, so it is doable as a solo. Bailey Richert: Oh, it definitely is. And you know what? One of the reasons that I decided to do it myself is because I didn’t want somebody that was not me reaching out and building these relationships with the influencers. I wanted that to be me. I wanted to be these people’s friends. I wanted to get them on board with my business, so we could have better working relationships in the future. I thought it would just be the strangest thing if an assistant reached out and said, “I work for Bailey, and she wants to know you better.” That seemed odd to me. Brian Clark: That’s also good advice. I do the same thing. People are like, “Why do you manage your own email relationships?” I’m like, “Because they’re relationships with me, not someone else.” That means my inbox is a mess, but I live with it. Okay. You go through month one. You go through month two, and you get your content together. Your sales page, your sales funnels are all there. Then you’re ready to start spreading the word. How did that happen? Bailey Richert: Sure. Both your new email subscribers and your attendees are going to come from the direct emails that your guest speakers are going to send to their lists. It’s really critical that, in the beginning, when you bring on these guest speakers, you do make it clear that they are expected to email their lists and promote the event to their email lists. That’s really the key there. It does take some tact. You do need to be respectful of what other people decide to share with their list, but at the same time, you want to make sure that every speaker on the summit is really upholding their end of the deal. One of the things that I did to confirm that was to join the lists of all of the guest speakers and sort of monitor, if you will, whether or not they were sharing, just to kind of see who was really putting in the promotions. Then if somebody wasn’t, you have to tactfully follow up with them and say, “Hey, you know, I just wanted to see when your promotions were going out. I haven’t seen them yet. Wanted to know exactly what your timeline was.” That’s how I approached that situation. I also did some Facebook Ads, which worked really well because I was just promoting the free summit. I wasn’t saying, “Buy an all-access pass.” I was saying that, “27 guest speakers, one week, 100 percent free,” I think was the tagline I used on my Facebook Ads. And I had an image featuring the pictures of all of these different influencers. That ended up working out pretty well, too. I was also able to increase my social shares by running two contests for free all-access passes during that month of promotion. I encouraged people who had already registered to share the summit, and one of them was going to win a free all-access pass. That was also incredibly successful. I did that using the app called Gleam, at Gleam.io. Brian Clark: Okay, interesting. The day comes and you’ve prerecorded everything, but it’s being presented according to a schedule, right? Bailey Richert: Yes, it is. Brian Clark: Now how did you coordinate that from a tech standpoint? Bailey Richert: Well, I was using ClickFunnels full suite for my entire virtual summit. I’m already using the full suite of ClickFunnels to run my entire business. I’m a ClickFunnels evangelist if anybody asks me. There’s many ways that you can host a virtual summit. It doesn’t have to be with that. In my course, we also describe the more piecemeal option using a checkout process like SamCart, Leadpages, all that sort of stuff. It does require a little bit more maneuvering, but it’s possible. I was already using ClickFunnels, and I decided that I was simply going to use landing pages in order to broadcast the interviews. What I did was predesigned landing pages at the specific URL InfopreneurSummit.com for each one of the guest speakers. For example, my welcome video was at InfopreneurSummit.com/Bailey-Richert — just made it really simple so that in case people couldn’t find the URL, they could logically think of what it would be, first and last name. Brian Clark: Got you. I’m going to introduce you to the Rainmaker Platform, which is what my company produces. It’s a perfect all-in-one solution. May have to give you a free account to take a look at. Bailey Richert: Yeah, I’m definitely always interested in learning about new softwares. Brian Clark: Yeah. ClickFunnels, yeah, we’re familiar with them as well, and I can see how you put it together. Next up, I know you’re teaching a course on this coming up later in the year. Do you have some examples or case studies you can talk about from other industries about successful virtual conferences, or is it more based on what you personally did? Bailey Richert: The course itself is based on my method, so it’s really intended for people who are solopreneurs. Maybe they’re just starting out in their business. They don’t have a gigantic budget, but they’re also not expecting to make some ridiculous six-figure revenue from a summit. They are hoping that it is going to help them establish their authority, grow their email list, give them a small boost in revenue for the month, or something like that, but really build those relationships with influencers. That’s who my Virtual Summit School, the course is really intended for. It is based on every single thing that I have done. We do talk about a few different success stories in the course. Fabian Markl actually just hosted, this year, the Publicity Mastery Summit. He is a friend of mine, and he is actually helping out with a little bit of the content in the course because he and I use different systems. I use ClickFunnels, and he used SamCart and WordPress in order to host his summit. I wanted to be able to offer students who were enrolling in the course a different look at different softwares and how they might be able to set it up. So I enlisted his help in creating some videos to show the technical side for his setup to give the students in the course a few more options, but yes, it’s basically using my system. Brian Clark: That’s another great piece of advice. I shouldn’t generalize, but people think they’re going to come out of nowhere, put on one of these virtual summits, and do a million-dollar launch or something. That’s not how it works. That’s not how it works for anyone. Brian Clark: You have to do the first one. You actually make a profit. Like you said, you’ve made relationships with people. Hopefully, those are enduring. Again, that’s your peer group. You’re all going to rise up together, and then you do get to the big launch or whatever the case may be. I always try to let people know, it doesn’t happen the first time, but if you don’t take the first step, if you don’t do the first event or whatever, it never happens. I think it’s important for people to realize if you make $10,000, that’s a home run on your first time out. Bailey Richert: Absolutely. I also try to let people know that while the all-access pass is how the virtual summit itself makes money, there’s also ways that you can leverage that exposure while the summit is going on to try to close enrollments in some of your other courses or coaching programs. I was able to sign two new coaching clients, and I sold a couple of my other courses that I had casually mentioned or referenced during the summit that people were able to find and enroll. It’s not just from the all-access pass as well. Brian Clark: Yeah, and of course, let’s not forget you now have a bigger audience than you had before on a relevant topic. It’s not a one-shot thing. You’re going to keep talking with these people over and over. Brian Clark: Going back to Stelzner’s example, the people who attended that virtual summit were the first people to sign up for the live event. It’s always a step-stone process. Bailey Richert: Mm-hmm (affirmative). Absolutely. I will definitely be hosting my infopreneur summit again next year, and because so many people had heard about it the first time and had such a positive experience, I’m sure that it’s going to be a much bigger event — and it will be over time. Brian Clark: Okay. Let’s tell people where they should head over if they want to check out that ebook and maybe the upcoming course. Bailey Richert: Sure. You can simply go to my website, BaileyRichert.com, to find links to any of my courses or any of those free materials. You can also go to VirtualSummitSchool.com. That home page URL will allow you to sign up for that free ebook, worksheets, and there’s a three-day email course that you can take as well. If you’d like to just skip directly and learn more about the program itself, you can go to VirtualSummitSchool.com/Program. Brian Clark: Okay. Bailey, thank you so much for your time. This was really useful. I do a newsletter on personal development called Further just for fun. I am not a Tony Robbins-type guru, and I’m not trying to be one. But I’ve been kicking around the idea of doing a virtual summit and bringing people together, being the host, being the organizer, so this is kind of timely for me. I love it when I get to do an interview where I’m getting free consulting. Bailey Richert: Well, that’s the thing — a virtual summit is all about making some noise around something. It’s about bringing attention to it. 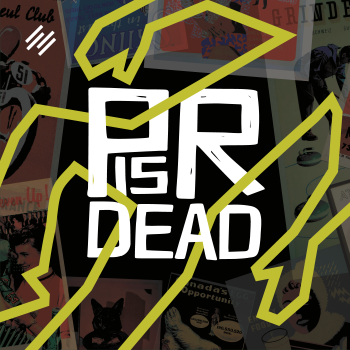 If you have something like what you’re talking about, this newsletter thing, it’s a really awesome way to bring people’s attention to it and really take it to the next level in a quick way. Brian Clark: Yep, absolutely. All right, thank you again, Bailey. We will put those links in the show notes for easy navigation for you guys. Take a look at it. Doing a virtual summit like this is an authority-builder even if you’re essentially borrowing the authority of others. It becomes a catalyst by which attention is focused on you in a particular area of expertise. And hey, that’s what we’re doing, each and every one of us, and building an audience at the same time. Check it out, get some ideas, and as always, keep going.